Disability Sports Coach provide high quality sporting opportunities for people with disabilities throughout the UK. They do this by providing coaching, training, events, and community clubs. 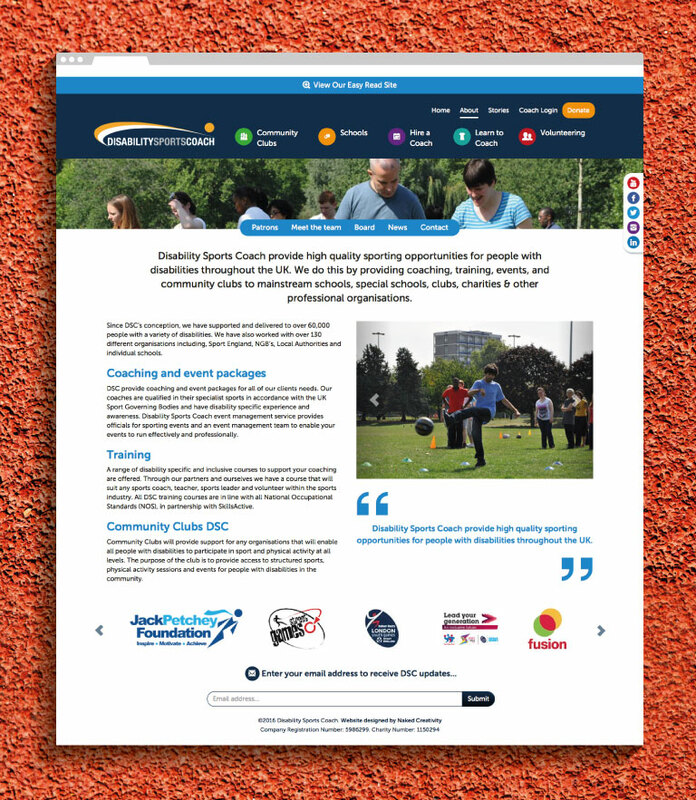 With the business focus changing to participants rather than funders, Disability Sports Coach asked Naked Creativity to design and develop a new website which would help to achieve this. The refreshed design is user-friendly, visually-appealing and has clear signposting to key content. 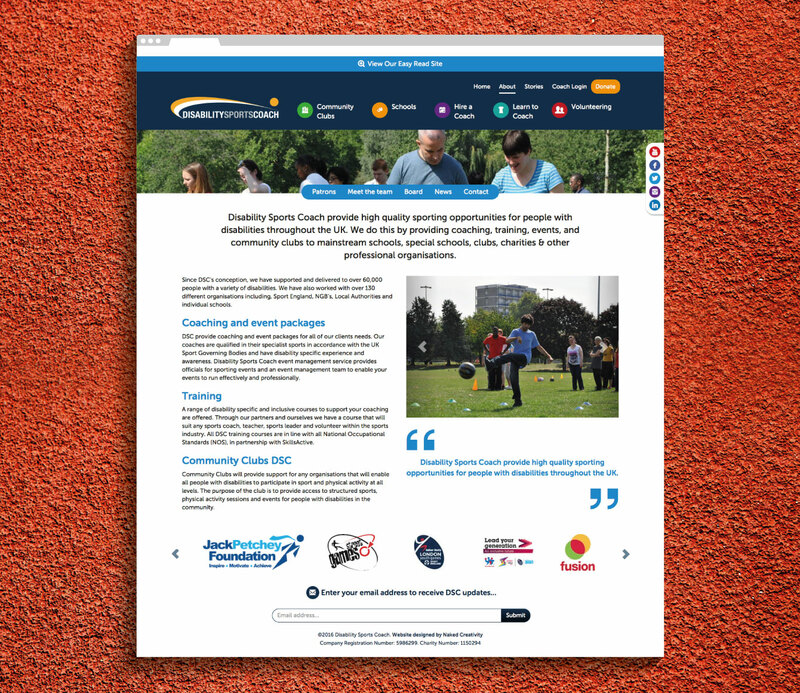 With the Cee.ms content management system, the Disability Sports Coach team have been able to create all the pages for the new website, using the templates and layouts designed by Naked Creativity. As an organisation targeted at disabled people, it was vitally important that the site was optimised for accessibility, and it meets WAI criteria in this area. 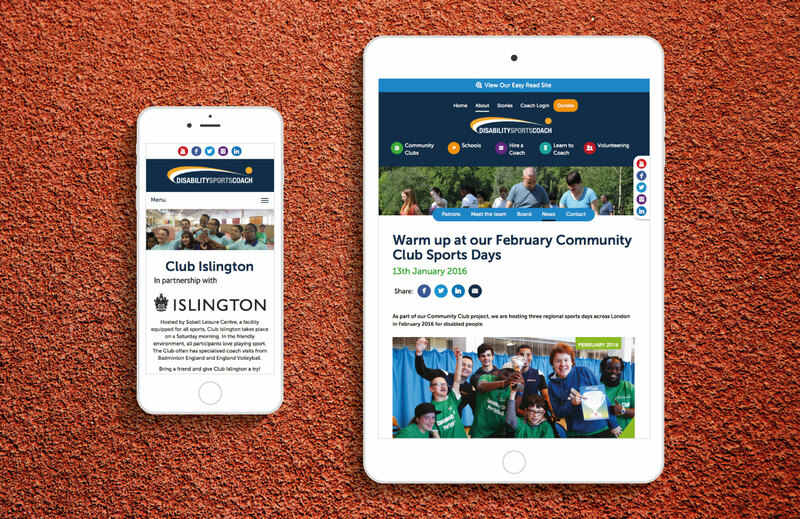 There is also a unique ‘Easy read’ mode particularly aimed at those with learning disabilities that simplifies the content and appearance of the website. 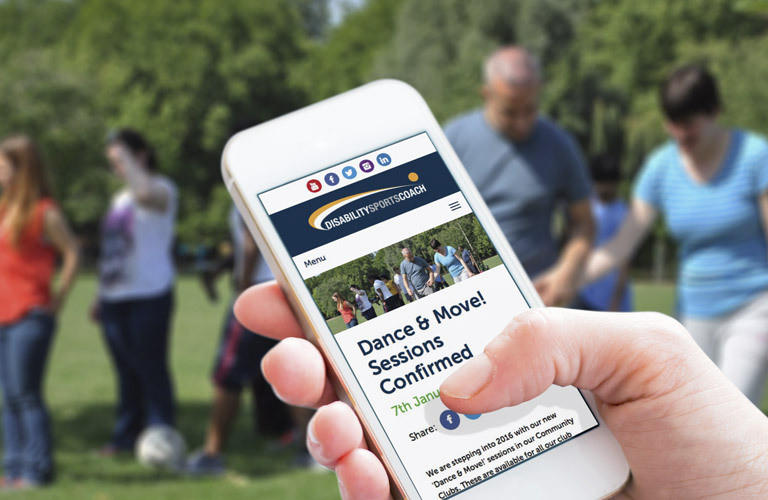 Naked Creativity have also taken on responsibility for upgrading and updating an existing web-based application used by Disability Sports Coach to manage every aspect of their coaching programmes. Initially developed by a different agency, Naked Creativity have improved the overall user experience; organisation of information; and added useful reporting tools. These updates have substantially improved the usefulness of the application and have significantly reduced the time to produce reports for funding organisations. Engaging our audience through digital platforms is key, if we want to achieve all we set out for here at Disability Sports Coach. Naked Creativity have helped us introduce a new streamlined navigation website that features simple functions and an easy-read site that has improved our users experience, whether they are participants, service users, key partners or supporters.